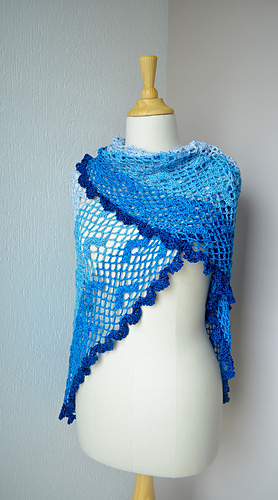 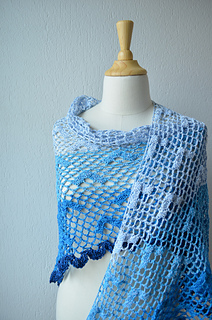 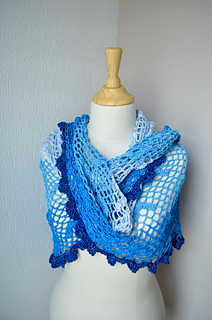 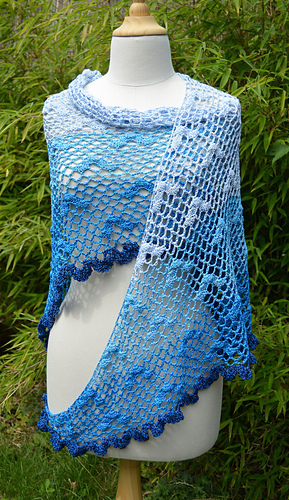 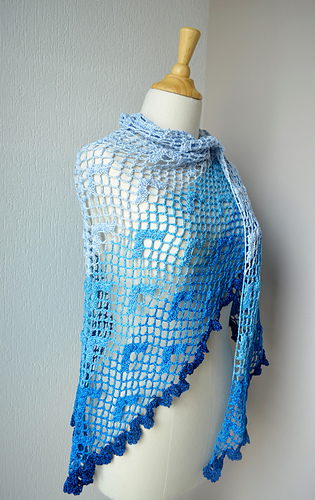 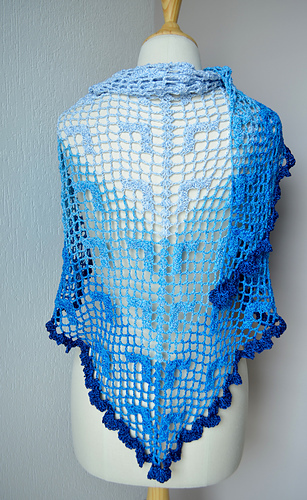 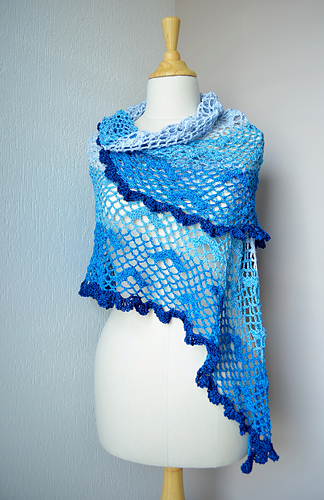 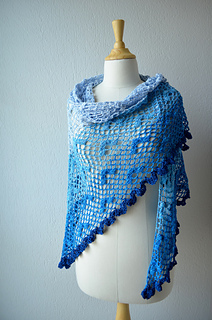 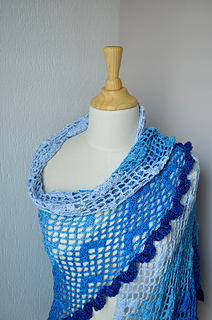 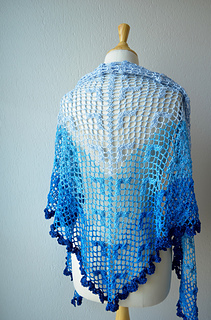 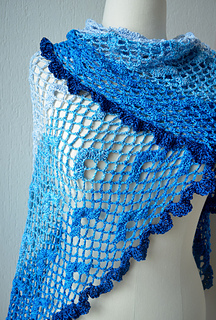 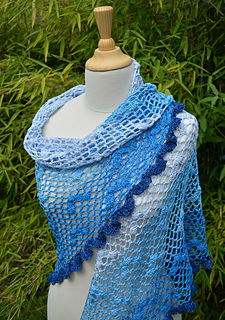 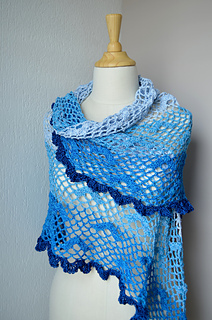 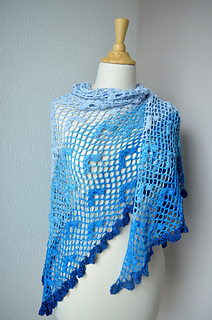 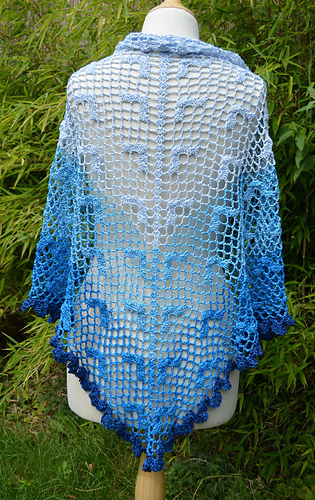 A large shawl, worked topdown, which makes it easy to choose your own preferred size shawl. 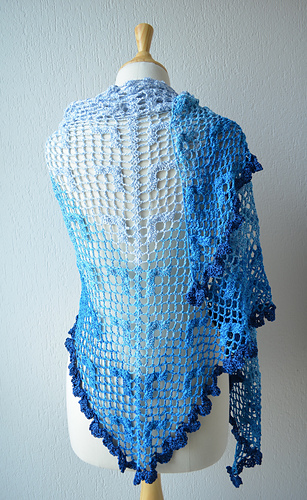 The size is very easy adjustable. 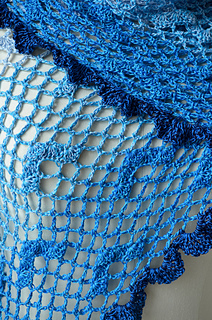 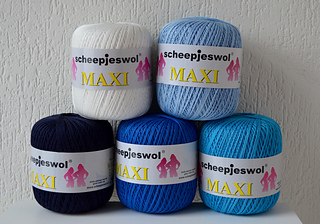 Worked in cotton thread : Scheepjes Maxi : 2 strands worked together. 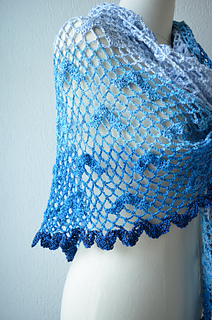 darker blue with marine blue. 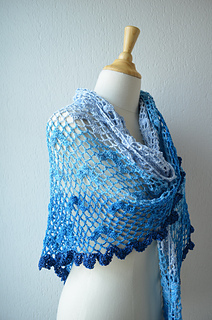 I used about 2200 meters of yarn. 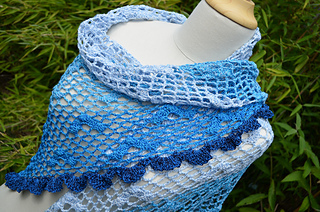 Fully written pattern in English (US terms) and Dutch, and 2 charts are added as well.